Glenwood Springs Demon Chano Gonzalez leaps through the air to make the layup during Tuesday night's game against the Eagle Valley Devils at Glenwood Springs High School. Trailing by one point at 27-26 heading into the fourth quarter Tuesday night inside The Nest at Grand Valley High School, Cardinals senior guard Shaya Chenoweth busted out in a big way for Grand Valley, pouring in 13 of 16 Cardinal points in the final quarter of play, helping the No. 7 Cardinals avoid an upset at the hands of the Rifle Bears, with a 42-38 win in nonleague action. Chenoweth hit five baskets in the fourth quarter, and went 3-for-4 from the free throw line to rally the Cardinals in the final eight minutes of action. Prior to the fourth quarter, Rifle played strong defense against the fast-paced Cardinals, and converted on the offensive end as senior forward Masi Smith led the way for the Bears with 10 points prior to the fourth quarter of play. The two teams were tied at 19-19 at the half as senior guard Danielle Doll hit two 3-pointers for the Bears, while sophomore guard Tabitha Call hit a 3-pointer and two baskets in transition for the Cardinals before the break. Coming out of halftime, Rifle outscored Grand Valley by one point in the third quarter to take the 27-26 lead, as Smith hit a 3-pointer and a basket for the Bears, while junior guard Jordyn Pittman hit three buckets for the Cardinals, setting up the pivotal fourth quarter of play. As Chenoweth became the go-to player for the Cardinals, Smith and April Quinones tried to will the Bears to keep pace, hitting a combined 7-of-8 free throws. Chenoweth just became too much down the stretch for the Cardinals, though, helping Grand Valley escape the upset bid with a four-point win. For the Cardinals (8-1, 0-0 3A Western Slope League), Chenoweth led the way with 18 points, while Pittman and Call added 11 and eight points, respectively. 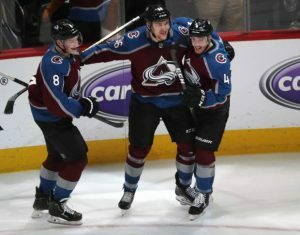 For Rifle (1-9, 1-1 4A Western Slope League), Smith led the way with 15 points, while Quinones added eight point and Doll added six points for the Bears. Grand Valley hosts Aspen Saturday in the 3A Western Slope League opener for the Cardinals, while Rifle takes on Eagle Valley Friday in a 4A Western Slope League matchup inside Jack Smith Gymnasium. Taking on the Eagle Valley Devils Tuesday night inside Chavez-Spencer Gymnasium in a 4A Western Slope League matchup, the Glenwood Springs Demons girls basketball team rolled to a 27-point win over the Devils as senior guard Emily Worline continued her torrid pace in the backcourt, leading the Demons with a game-high 15 points, hitting five 3-pointers in the win. Worline exploded in the second quarter for the Demons, hitting four of her five 3-pointers, leading the Demons to 17 points in the quarter, taking a 23-4 lead at halftime. The senior guard, who leads the state in 4A in 3-pointers, connected on her fifth triple of the game in the third quarter, while senior Logan Nieslanik and junior Qwynn Massie hit two buckets each in the Demons’ second straight 17-point quarter, helping Glenwood pull away for good. Michelle Marshall added two buckets in the fourth quarter for the Demons, closing out the league win at home. 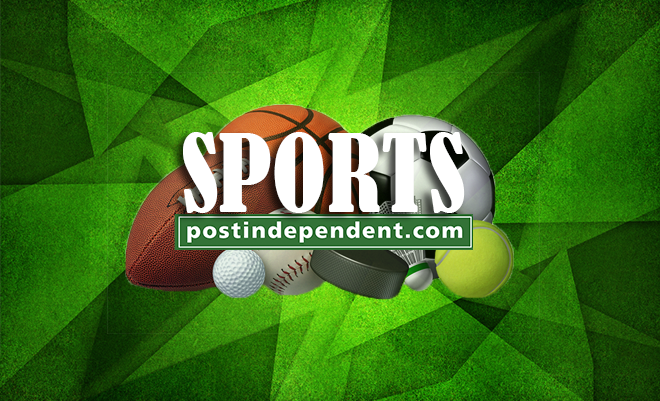 For Glenwood (7-7, 3-0 4A WSL), Worline led the way with 15 points, while Massie added eight points. Junior Hadley Yellico added five points, while senior Ximena Gutierrez, junior Kate Shanahan, and Marshall added four points each. The Demons travel to Steamboat Springs Saturday for a 4A Western Slope League matchup with the Sailors. 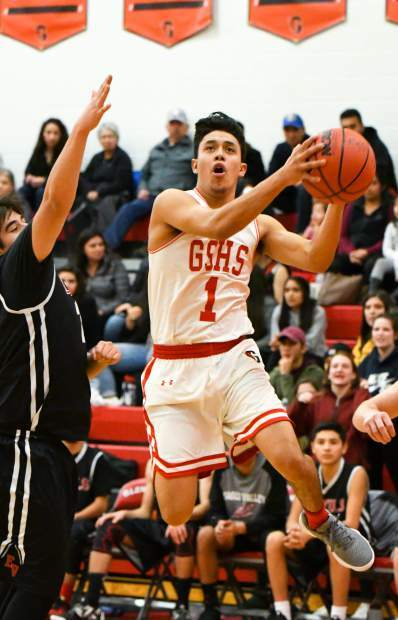 Hosting the Eagle Valley Devils Tuesday night in a major 4A Western Slope League clash, the Glenwood Springs Demons boys basketball team held off the pesky Devils for a 69-53 win, capped off by a 23-point fourth quarter from the Demons. 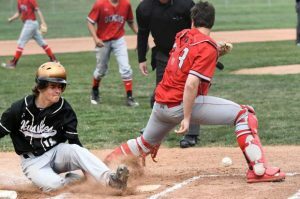 Glenwood jumped out to a 13-8 lead after one quarter of play, before pulling away for good as the pace picked up, culminating in the 23-point fourth quarter in which the Demons hit three 3-pointers to close out the Devils. Senior guard Chano Gonzalez had a night to remember for the Demons, pouring in a game-high 27 points, hitting two 3-pointers, seven twos, and 7-of-8 from the free throw line, pacing the Demons. Along with Gonzalez’s big night, senior guard Angel Garcia poured in 12 points, hitting two 3-pointers in the fourth quarter, while senior Kevin Ayon and junior Mitchell Burt added eight points each for the Demons. For Eagle Valley, senior guard Jacob Medina led the way with 21 points. Glenwood (10-4, 3-0 4A WSL) travels to Steamboat Springs Saturday for a key 4A WSL showdown with the Sailors. Hitting the road Tuesday night for a nonleague matchup with the Grand Valley Cardinals in Parachute, the Rifle Bears boys basketball team stayed hot, picking up a 49-36 win over the Cardinals. In the win, junior guard Trey Lujan exploded for 19 points, seven of which came in the fourth quarter. Tido Ruiz added eight points for the Bears, while Joel Lopez and Omar Chavez added five points each. For Grand Valley, Wade Weiss led the way with 10 points, while Blade McCormick added eight points.